Impressing a girl is not easy at all. Some guys have it and some guys don’t. But the probably the easiest way to start is to surprise her with some flowers. You can’t go wrong with flowers, or with diamonds. But if diamonds are a little bit below your price range it’s better to start a bit smaller. So flowers it is! Mind you, the science of buying flowers is not as easy as you may think it is. 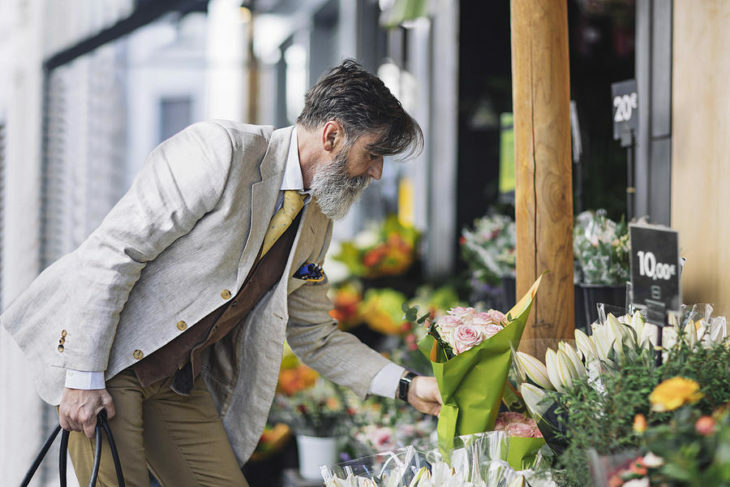 It’s not so easy to just walk into the store and buy any old flowers that you see. There is a science to it and in order to impress a girl with flowers, you should know it. Here are some basic steps for all of the clueless guys out there on how to buy flowers for a girl that you like. The most basic step to start with is to learn something about the girl. You can’t really give her anything if you don’t know something about her. It can be little things: What color does shoe like? What kind of a person is she? Is she allergic to flowers? All in all, knowing her just a little bit will help you get a basic idea of what kind of flower does she like. It is not as easy as going with her being romantic. Some girls may not even like flowers, although we have to admit they are a minority. You don’t have to go really deep. You just need something basic for starters. It will also serve as a perfect start for your relationship if you start dating this girl. The next step is a crucial one; Deciding what the flowers are actually for. There are many situations why men give flowers to girls. It can be a flower that you give for a first date. It can be just a simple gesture. It can also serve for expressing your devotion to her. There is also the fact of confessing that you love her. So as you see there are many reasons to give flowers to a girl. So what is your reason? 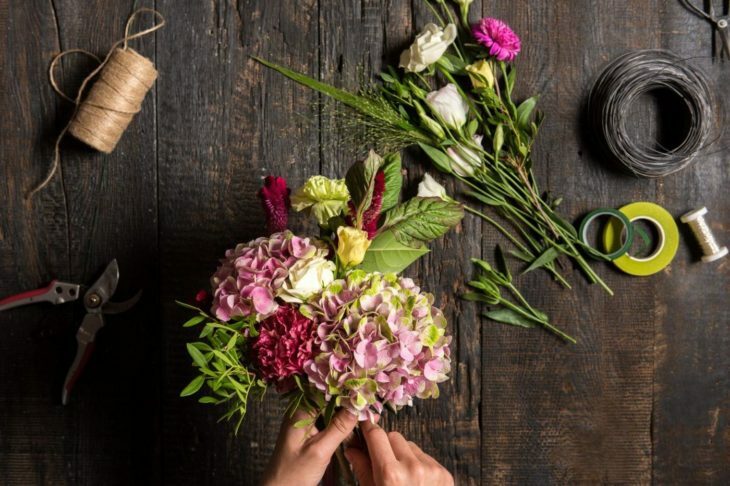 Susan Weathers from Floral Paradise, a leading flower shop from London, says that people who buy flowers with a purpose have a bigger chance of succeeding with the intention that they are going with. So when you decide the real purpose of you giving flowers to a girl you have to know what you are going to say. Just saying “Here!” and thinking it is going to be cool will not suffice. You can go with the line of something like “I saw these flowers and they reminded me of you!” It does sound cheesy but it works. So try your best to come up with a line which will express the purpose of you giving flowers to your girl. Now when you know the reason why you are getting the flowers, you need to find a place to actually get them. Sometimes it is as simple as spending a few minutes on your computer and browsing the nearest flower shop. London alone has numerous flower shops so if you are living in a big city it will not be a problem. But if you are from a small town it can pose a headache to find one. If you can’t find a flower shop near you or if there are no flower shops on the way, try looking at your local farmer’s market. Bigger floral shops come with reviews so you will get a better picture of what you are buying. Other don’t really come with that much information so you may be going in blind. Either way, do your research and make sure to choose a suitable flower place. An important thing to know is that you don’t have to be ashamed if you ask for advice. The best would be to get help from a pro. Ask somebody who knows what he or she is doing and choose some flowers based on that. It can be a person that you know and trust or you can search the web to see find some great floral arrangements. If all else fails, you can always ask the clerk at the flower shop for their opinion. Bigger flower shops do have experts working for them that can help you. 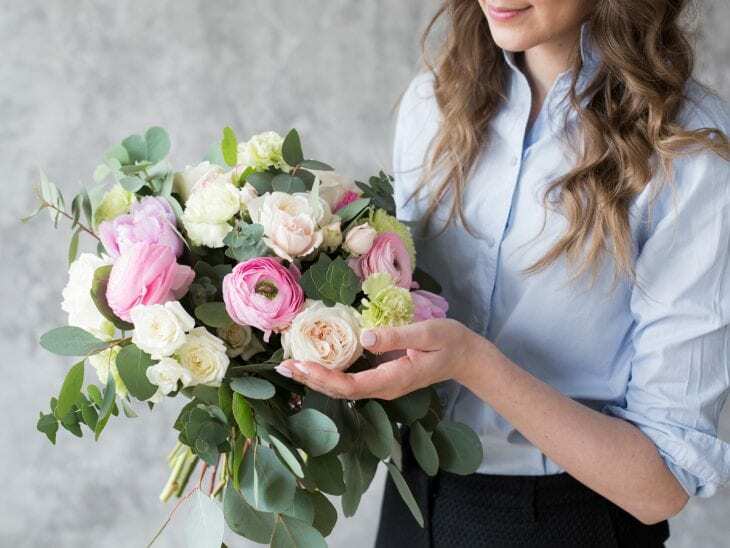 Another great piece of advice is to never choose a prearranged bouquet that they have in stores. You will get the best out of your money if you make one yourself. Choose the flowers, the bow or ribbons, and stripes to form your own bouquet of flowers. A custom arrangement of flowers always shows that you care and that you put more effort into it. No bouquet of flowers is finished without a card. Adding a card is like putting a cherry on top of a cake and choosing the best lines to put in it is very important. But you don’t have to stress about it too much. Overdoing it will most likely come with bad effects. So it is always better to keep things simple and short. If you know the girl you are giving the flowers to enough you will know what to write on the card. What we don’t recommend you to do is to use cheesy lines. Also, don’t use famous quotes that everybody has already heard of. Shakespeare is not for everybody and sometimes you may even misquote so your message might be misinterpreted. Better go with what you got and go with your gut. You can never go wrong if you are sincere and write from your heart. The final step may be the hardest one but doesn’t have to be. If you have prepared well and have done all the previous steps as best as you can the final one is a synch. You have to decide where and how to give her the flowers. If you pick her up at home and do the ol’ “flowers behind the back trick” that’s good. Sometimes being simple is a good thing. Don’t try to go over your head and rent an airplane to spell her name. You can save that for your wedding proposal. Keep things simple and calm and the best thing to bring with you is confidence. 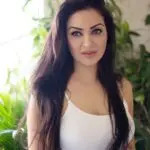 Girls can sense insecurity so if you present the flowers to her in a confident way you will most likely get the reward you have yearned for all this time. It probably comes in the form of kiss at the end of the night.